Growing striped flowers could hold the key to attracting more bees into gardens – helping to halt the catastrophic decline in bee colonies that has been seen worldwide. Scientists have found that flowers with stripes along their veins, as well as red blooms, act as ‘landing lights’ for bees, drawing them into gardens. 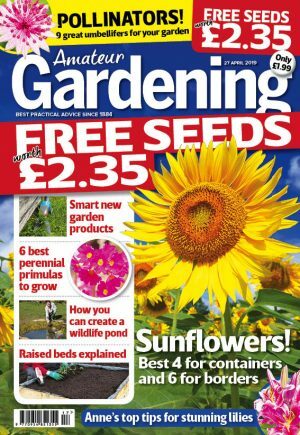 The findings come at a time when gardeners are being urged to grow bee-friendly plants to avert a bee crisis. Over the last four years, a third of honey bee colonies in America have died. In Europe, bee keepers have reported colony losses of up to 60 per cent in recent winters. 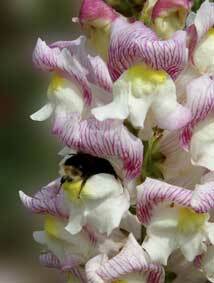 Researchers spent several summers observing foraging patterns of bees on common snapdragon plants grown on a plot near Norwich. Red flowers and those with patterning were visited “significantly more frequently” than white or pink blooms. The Government is so worried about bees that in May 2009 it pledged £10 million to research bee deaths. A number of factors are being blamed for bee decline, including habitat loss and use of pesticides. The parasitic Varroa mite, which commonly attacks honey bees between autumn and spring and leads to death of colonies, is also a known cause of bee decline.